Mumbai, Sep 12 : Actor Akshay Kumar, who raised the problem of poor sanitation in India through the film "Toilet: Ek Prem Katha", has urged people to participate in Swachhata Hi Seva Andolan movement. 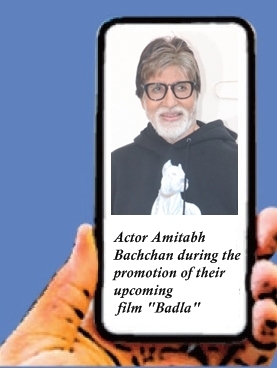 On Wednesday, the 51-year-old tweeted: "Thanks to 'Toilet-Ek Prem Katha', I got to know about the lack of basic sanitation facilities suffered by millions. Swachhata (cleanliness) should be prioritised for our nation's healthy future. Join the Swachhata Hi Seva Andolan." Along with the post, Akshay posted a poster of the movement. It reads: "Become a part of the Swachhata Hi Seva Andolan and undertake shramdaan (voluntary contribution) starting 9.30 a.m. on September 15 in your area. Share your Swachhata moments using #SHS208." Akshay also made the audience witness India's sanitation issues in film "Pad Man", which focused on menstrual hygiene.